Maine. 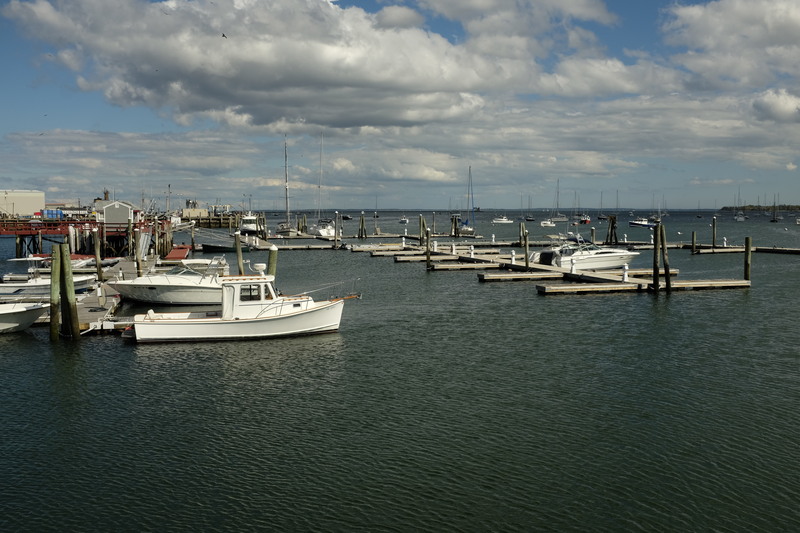 From there you can make relatively long voyages to North Haven, Vinal Haven, Matinicus, and Ragged Islands. After looking around Main Street, I walked to the harbor for a few shots. Gone were the large yachts such as those of Belfast, Camden, and Portland but this could be due to the season—some boats now being in dry dock, others sailing south. 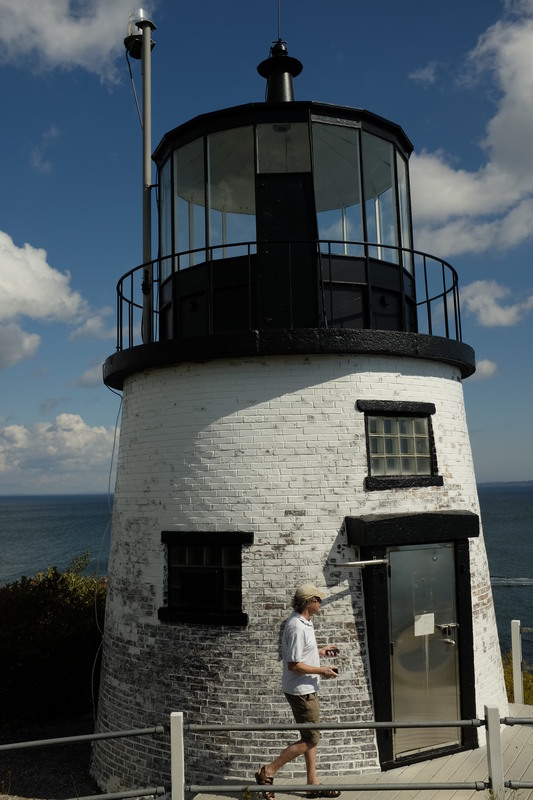 I was anxious to go to Owls Head Light, as it overlooks Penobscot Bay and Rockland. Although the park was quite nice, the lighthouse was not impressive. It was small, and given the terrain, there was no way to get a really artistic shot. Unlike most other lighthouses, you literally had to stand next to it to shoot, as shown in the accompanying photograph. 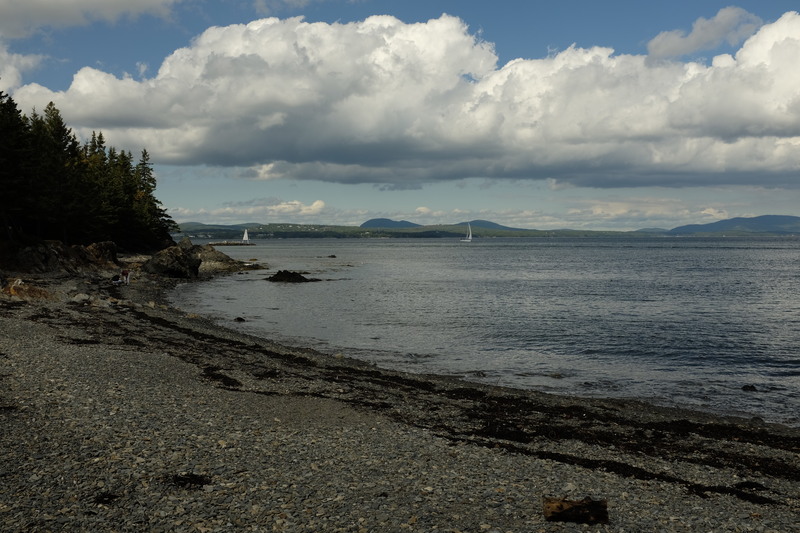 There was a beach at Owl’s Head that provided a nice view toward the north end of Rockland where I caught a nice scene with two sailboats on outbound courses. 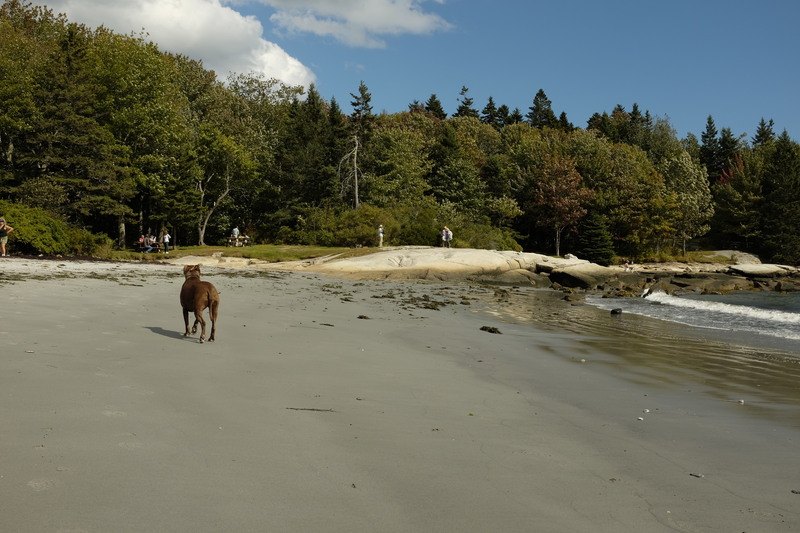 From here I was off to Birch Point Beach where, like Portland Head Light, artists abounded. I figured this had to be a pretty good spot to photograph. Here are but a few shots, including some of the artists. 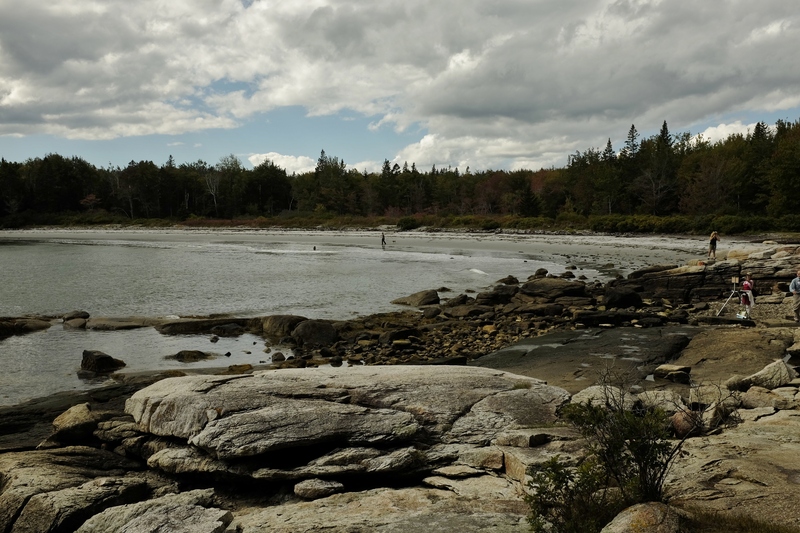 Maine’s coast continues to inspire artists and attract tourists. As urbanized as most of us are, nature continues to be something we need. All in all I decided Rockland would indeed be a good spot for photographing the northern part of the mid-coast so I reserved a room at a local motel. Not only will I be there to capture the fall colors at peak, but I’ll be able to get dawn and dusk shots when lighting is best since I won’t have to content with ferry schedules. By the way, if you double-click on any of my blog images you will see far more detail.